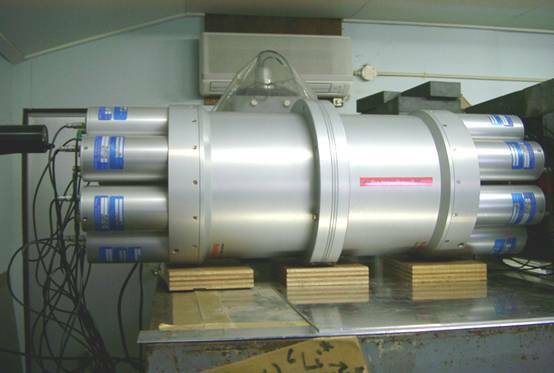 The ANNRI is the abbreviation of Accurate Neutron-Nucleus Reaction measurement Instrument. 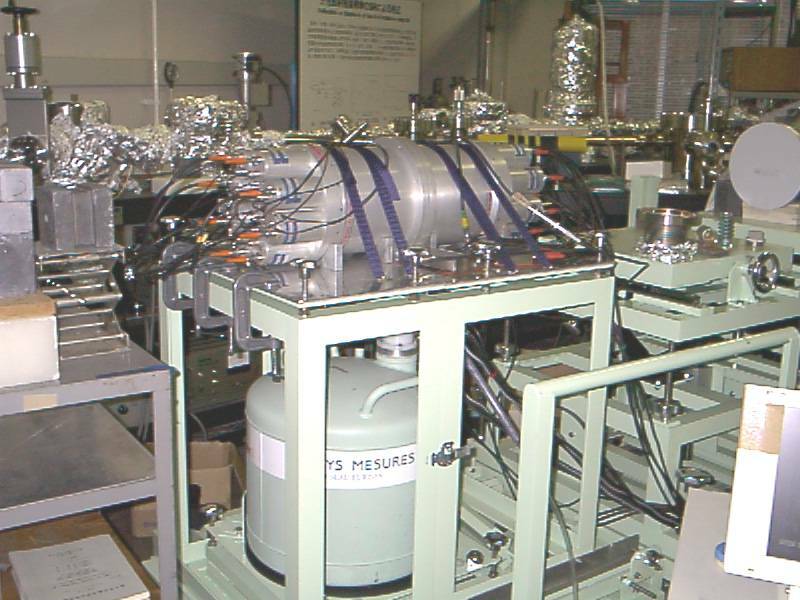 It was constructed in order to supply accurate neutron capture cross sections of minor actinides and fission products required for developing innovative nuclear systems. To design innovative reactors and nuclear fuels in future, neutron capture cross-sections for MAs and LLFPs are required in the energy range from several eV to several hundreds keV. Time-Of-Flight (TOF) method is applied to cross-section measurements. To measure these data with high precision and high sensitivity, we developped a 4π BGO detector. 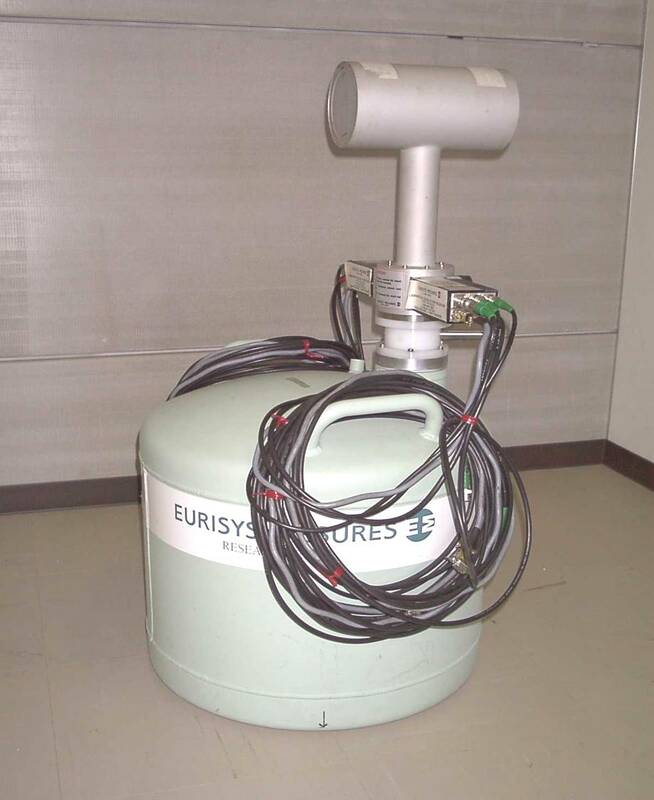 Furthermore, aiming at high sensitivity measurements, we developped a 4π Ge spectrometer and neutron capture cross-section measurements at Kyoto University Research Reactor Institute is in progress. When a neucleus captures a neutron, the neucleus in an excitation state decays promptly (1E-14 s) emmitting gamma-rays. 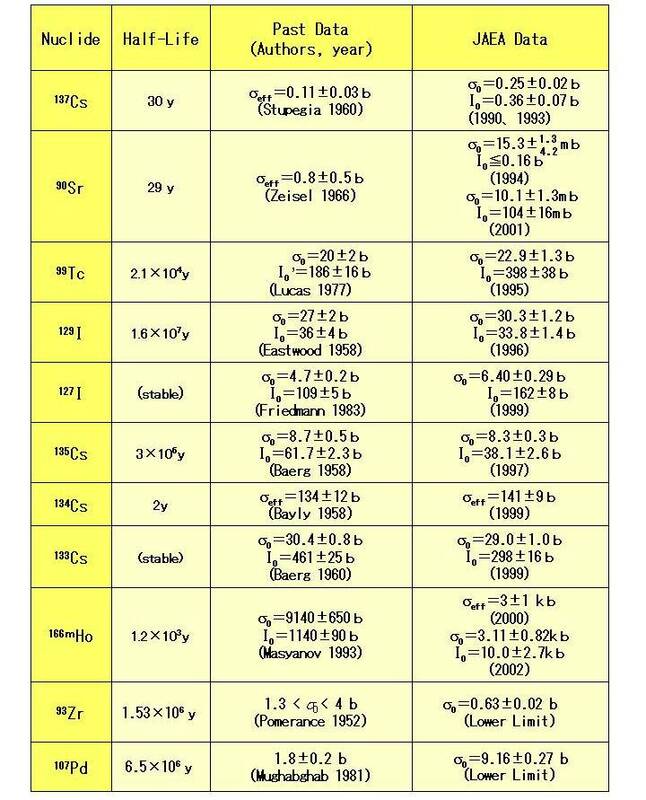 From prompt gamma-ray yields we can obtain neutron-capture cross-sections of nuclides. 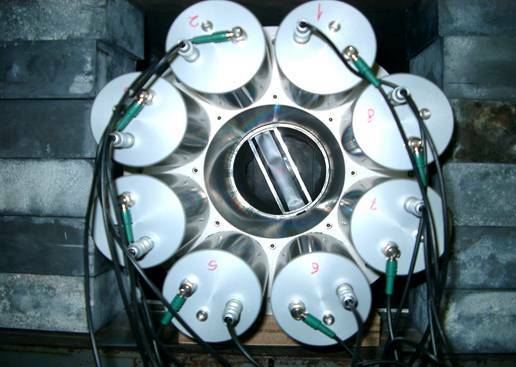 The prompt gamma-ray spectroscopy makes it possible to measure cross-sections of nuclides of which cross-sections cannot be measured by the neutron activation method. 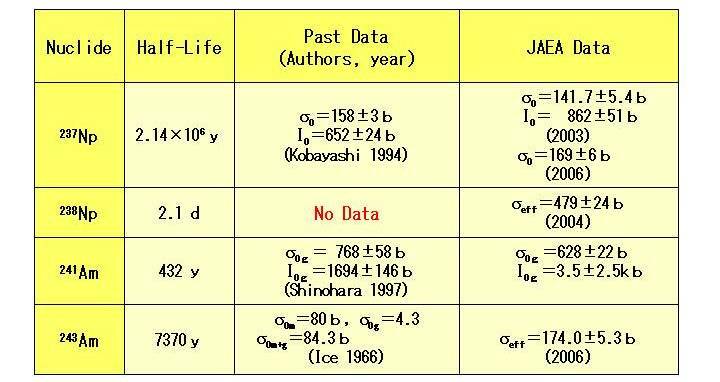 In order to determine a cross-section with high accuracy, it is necessary to measure prompt gamma rays by a good signal to noise (S/N) ratio. Therefore, we are constructing a spectrometer with Ge detectors at a cold neutron beam line of JRR3. 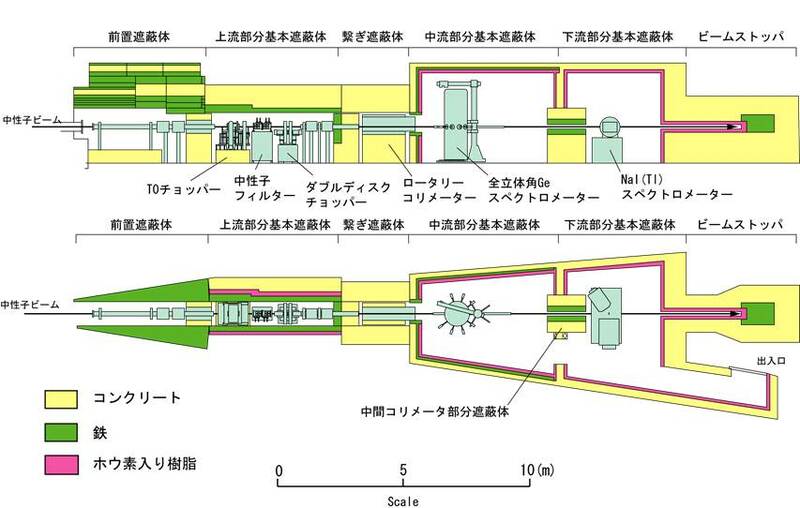 Photo-nuclear reactions have been studied with the High-resolution High-energy photon Spectrometer (HHS) and laser Compton photons. The HHS is composed of a twin type Ge detector and surrownding BGO detectors. The HHS makes it possible to measure high-energy gamma-rays up to 30 MeV with the energy resolution of 0.1% and high S/N ratio. Neutron capture cross sections are measured as gamma-n inverse reactions. To estimate reaction rates of MAs and FPs in a reactor, accurate thermal-neutron capture cross-sections and resonance integrals are required. However,there is no such data for some of FPs and MAs. Eventhough they exist, the accuracies are not sufficiently enough. We, therefore, have measured neutron capture cross sections mainly with the neutron-activation method.